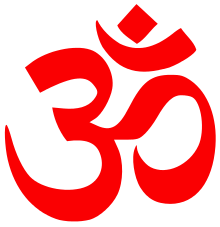 Ṛta is derived from the Sanskrit verb root ṛ- "to go, move, rise, tend upwards", and the derivative noun ṛtam is defined as "fixed or settled order, rule, divine law or truth". As Mahony (1998) notes, however, the term can just as easily be translated literally as "that which has moved in a fitting manner", abstractly as "universal law" or "cosmic order", or simply as "truth". The latter meaning dominates in the Avestan cognate to Ṛta, aša. This shift of emphasis from Ṛta as a metaphysical principle governing action in the universe to Dharma as the codex of social and ritual ordinances thought to uphold Ṛta had a considerable impact upon the later development of the religion under the guidance of the Brahmin priesthood. Whereas the older conception envisioned the gods as sovereign protectors and executors of Ṛta, the evolving view placed an increasing amount of importance on the sacrificer as he who upholds the order of the universe through the performance of the sacrifice. As George (2008) notes, "in the course of time […], it is no longer the gods guarding the Ṛta, the cosmic moral order, but the sacrifice becomes the 'protector of the order'", and "the one who sacrifices becomes the 'mortal hero' who can even command a great god like Agni through the effectiveness of the sacrifice". Arta- sometimes appears as an element in Vedic and Indic personal names, as with Iranian. ↑ Holdrege (2004:215). Panikkar (2001:350–351) remarks: "Ṛta is the ultimate foundation of everything; it is "the supreme", although this is not to be understood in a static sense. […] It is the expression of the primordial dynamism that is inherent in everything …"
↑ Holdrege (2004:215–216); Mahony (1998:3). ↑ Oldenberg (1894:30). Cf. also Thieme (1960:308). ↑ Ara (2008:117). See Myers (2001:176–178) for a detailed discussion of the threefold function of Ṛta. ↑ Cf. Ramakrishna (1965:153–168), James (1969:35–36), Premnath (1994:325–339), Rappaport (2002:344–370). ↑ Brown (1992:373): "The Ṛta […] was not created or willed by any being or beings, the gods or any other above them. It existed before them but became known by them. They were powerless to alter it; they were only agents to execute it or supervise its execution." ↑ See James (1969:34–36) for a discussion of the historical development of the relationship of Varuna to Ṛta. 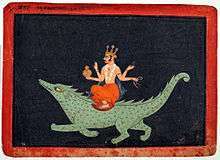 Ramakrishna considers it possible that Varuna was originally conceived as the personalized aspect of the otherwise impersonal Ṛta, and that, as the importance of Ṛta began to wane in the late Vedic and post-Vedic periods, Varuna was demoted to the position of a god of the waters. Cf. Ramakrishna (1965:133–134). ↑ RV 7.52.9; RV 8.25.2; RV 7.40.4. Quoted in Ramakrishna (1965:113). For a discussion of the Adityas and their relationship to Ṛta, cf. Heckaman (1979:15–20). ↑ Quoted in James (1969:35). ↑ Day (1982:28). Also Brown (1992:373): "For example, if a man got dropsy, he knew that he had violated the Ṛta, and that the god Varuna, whose duty it was to supervise enforcement of Ṛta, had sent the disease as a punishment." ↑ Cf. Bilimoria et al. (2007:33): "Since to do what is right safeguards the good of all qua Ṛta, it is assumed that it is more or less obligatory to do or perform the right acts." ↑ Cf. Rukmani (2008:157); Davis (1990:320). Also Leslie (1992:52–53). ↑ Day (1982:78); Neufeldt (1986:2). ↑ Cf. Kapur-Fic (1998:96); Brown (1992:373); Mahadevan (2000:37). ↑ Boyce 1987, p. 390. ↑ Hess (1993). Amarna Personal Names. Eisenmans. p. 38. George, Vensus A. (2008). Paths to the Divine: Ancient and Indian. Washington: Council for Research in Values and Philosophy. ISBN 978-1-56518-248-6.